Info: This chilli is the most important ingredient in Peruvian cooking - a medium-hot, bright orange, thick fleshed chilli which is used in just about everything in Peru. It has a wonderful subtle fruitiness about it with a smooth finish. 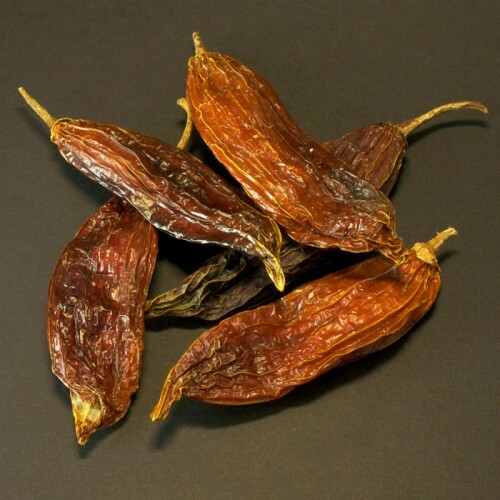 Not only that but the baccatum species of chilli have a great all round the mouth burn without the harshness of the annuum chillies. This chilli will give a bring a sunny yellow to a sauce or add to mayonnaise and then spoon over poultry or fish for a great summer dish. 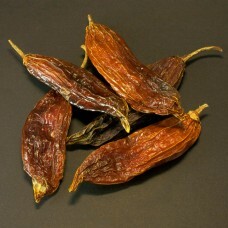 Heat: 3/10 Origin: Peru Info: This chilli is rare outside S America and the USA but ..